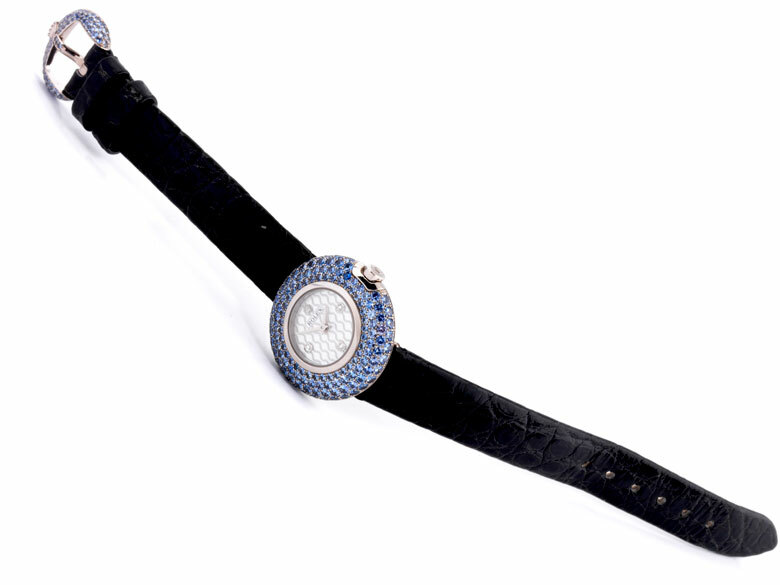 26 mm in diameter, 18 ct white gold with 141 Ceylon sapphires and white gold folding clasp with sapphires, reference 6201/ 9, no. K672904. Quartz movement. 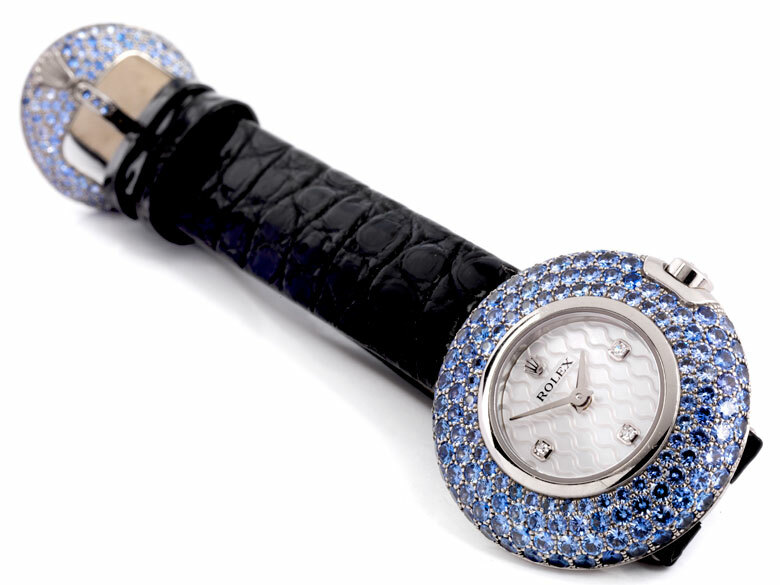 Mother-of-pearl dial with orchid pattern and four brilliant-cut diamonds. 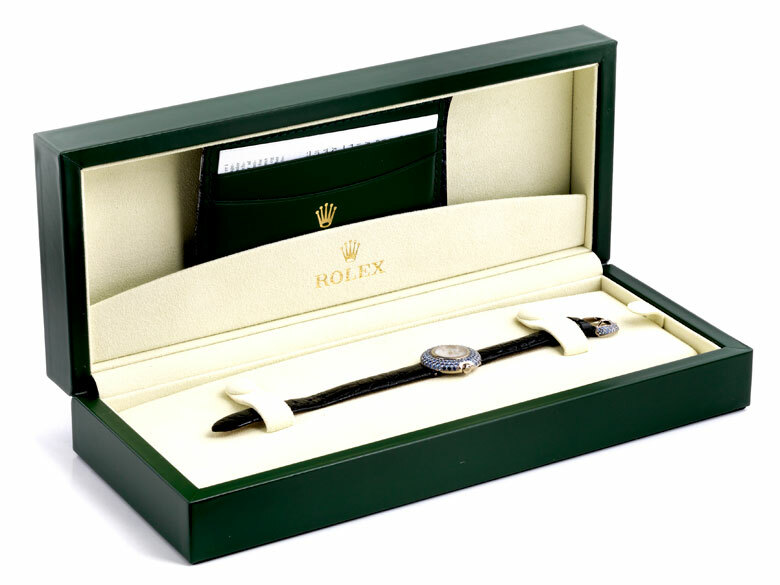 With box and original papers, original price 27.530 EURO.